Understanding local antibiotic drug resistance patterns helps encourage appropriate antibiotic usage; supports development of local antibiotic prescribing guidelines and vaccination strategies; and, minimises the development of further resistance. Local antibiotic prescribing guidelines need to take such data into account but in many countries this data is lacking or not enough. GSK’s objective is to mitigate the growth and impact of antibiotic resistance through generating local antibiotic surveillance data. We do this by using our expertise and scale to gather antibiotic surveillance data on the susceptibility of pathogens that cause community-acquired infections in countries where resistance data can be scarce. This data is shared with healthcare professionals and public health bodies so that they have up-to-date country-specific resistance levels. GSK began conducting antibiotic surveillance studies in 1992 by running an international surveillance study of community-acquired respiratory tract infections – The Alexander Project. In 2002 we began our current programme, the ‘Survey of antibiotic resistance’ (SOAR), as a response to serious clinical concerns that emerging antimicrobial resistance was complicating empirical therapy of community-acquired respiratory tract infections. GSK leads the study and carries out the data analysis, development of study reports and publication as well as the training session, webcasts and lecture series. The study management is run by a third party, with external investigators for collecting and identifying isolates as well as testing antibiotics. GSK collect and identify the most common community-acquired respiratory tract infections-related pathogens (e.g. Streptococcus pneumoniae and Haemophilus influenzae) and testing them against a wide range of antibiotics, not just against GSK’s antibiotics. We then proactively share the data with healthcare professionals / public health bodies and train healthcare professionals /SK’s staff on the importance of antibiotic surveillance and how this data can be used to help on development of local antibiotic prescribing guidelines to ensure appropriate antibiotic prescribing. GSK has been generating and disseminating surveillance data for almost 25 years. SOAR is now running in more than 30 countries in the Middle East, Africa, Common Wealth of Independent States, Latin America, Asia, China and Eastern Europe. The SOAR study is repeated periodically (every 2-3 years) to identify resistance trends in different countries. In 2016, GSK conducted a specific educational Global SOAR Forum Meeting via webcast during World Antibiotics Awareness Week to disseminate the latest SOAR data from 17 countries, build healthcare professionals knowledge of local susceptibility factors and outline how this knowledge could be put into practice to help them choose and prescribe antibiotics appropriately. Over 5,600 healthcare professionals, primarily from the community setting, from 40 countries attended this webcast. Our trainings meetings (Inspiration meetings) are an ongoing programme – in 2017 alone we have so far reached over 21000 healthcare professionals. 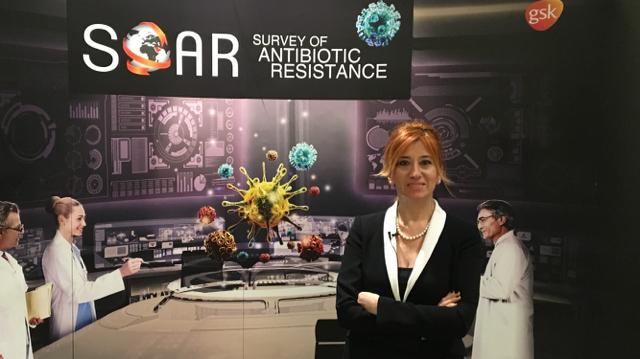 In 2017, GSK also conducted a SOAR Lecture Tour in the Gulf Cooperation Council (GCC) region focused on spreading awareness about AMR trends, specifically those within the GCC region, and to discuss the role of physicians in managing AMR. This lecture tour included 8 meetings attended by over 350 physicians from Kuwait, Oman, Qatar, Saudi Arabia and the UAE, including GPs, Infectious Disease consultants, Paediatricians and Internal Medicine consultants from both the hospital and community settings. In addition to that 2100 HCPs and 180 GSK staff have been trained on appropriate usage of antibiotics and SOAR data in Pakistan, Ukraine, Romania and Turkey. Our SOAR data has had a direct impact on the development of national guidelines – the local data we generated resulted in a change in Turkey’s Ministry of Health antibiotic prescribing guidelines as well as the introduction of the first-ever antibiotic prescribing guidelines in Ukraine in 2016. As we run studies in countries that lack existing surveillance data or capability, GSK also has unique experience in these settings that we can share, as evidenced by the UK Fleming Fund seeking input and guidance from GSK SOAR experts to support their efforts on capacity building for surveillance studies. There is a need to share externally the antimicrobial surveillance data generated by programmes like SOAR which are run by pharmaceutical companies and to harmonise study protocols. Sharing the data with easy access will help to develop local antimicrobial prescribing guidelines/policies, set up new breakpoints for antibiotics and guide appropriate antimicrobial prescription. GSK is a key player in an upcoming Open Surveillance Data pilot project with Pfizer, Merck, Sanofi, Novartis, the Wellcome Trust and the Open Data Institute that seeks to make industry-sponsored antimicrobial surveillance data openly available. GSK’s SOAR studies utilise standardised and internationally recognised methodologies such as Clinical and Laboratory Standards Institute (CLSI) and European Committee on Antimicrobial Susceptibility Testing (EUCAST), as well as include PK/PD data to ensure they are widely applicable. 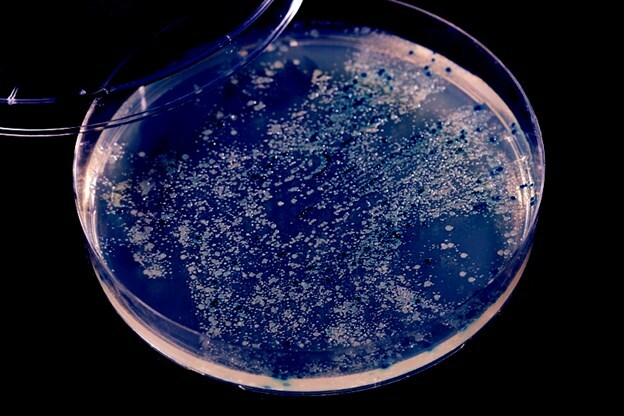 We use our scale and expertise to run our studies in areas where more resistance data is needed and capability is limited, and study community-acquired infections, rather than those from the hospital settings, to help build up a global picture of antibiotic resistance, and complement existing public datasets. Results from SOAR studies have been presented at national and international congresses as poster abstracts and published as manuscripts. We proactively publish this data and share it with healthcare professionals and public health bodies to provide country specific resistance levels to inform prescribing and guideline development. The latest findings from SOAR were published in April 2016 as a supplement to the Journal of Antimicrobial Chemotherapy (JAC) and included data from Thailand, India, South Korea, Singapore, Democratic Republic of Congo, Ivory Coast, Republic of Senegal, Kenya, China, Bahrain, Oman, Lebanon, UAE, Ukraine, Turkey, Vietnam, and Pakistan.